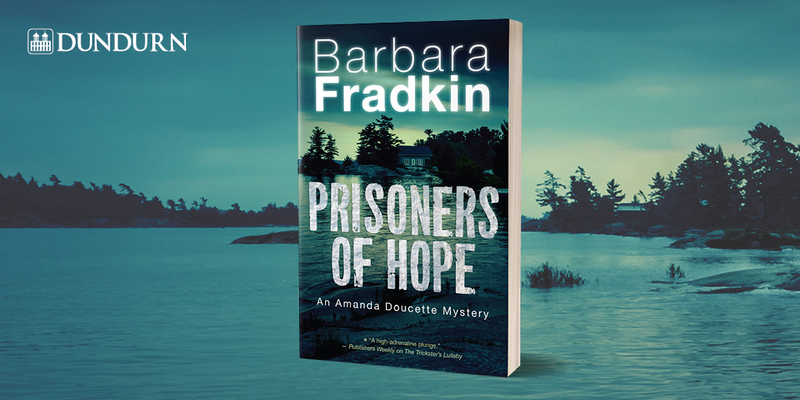 The release date of my next Amanda Doucette mystery, PRISONERS OF HOPE, is October 2, 2018. As the date nears, the promotional machine is ramping up: the ARCS are being mailed out, the e-versions are up on Net Galley for those wishing to review it, and the publisher's marketing, sales, and publicity wings are busy making pitches to media, booksellers, and special events. But perhaps the biggest and most sustained promotional efforts are done by me. It seems every year we authors are being urged to network, blog, create newsletters, and add yet another social media outlet in order to increase our reach and visibility. First it was Facebook, where much of my reader demographic is active, then Twitter, which I have yet to see the sense of for book promotion. It's great for breaking news, but tweets seems to have a shelf life of fifteen minutes, and even at that I sometimes wonder whether anyone actually reads them. Writers hurl book covers, brags, and review links into the great Twitter maw much as space junk is shot through space into the endless void. Last year my publisher urged me to get active on Goodreads, so I dutifully spiffed up my profile, made a link to my blog, and opened my page to questions. Not a single question arrived. This year, Instagram is the new buzz. You'll reach a younger demographic on Instagram, I'm told. Instagram is pictures. Millions of pictures. Pictures of what, I thought. My book cover? Me doing a reading at a festival, me at my writing desk tearing my hair out? Me slouched over a bottle of whiskey? And once I've run through all those, my dogs? My breakfast? I will stick my dutiful toe into the the Instagram Universe to test the waters, but it all strikes me as a bit narcissistic. It's also been suggested that I make a book trailer. It's easy, it's fun, check out these links... Sigh. I can see myself wasting days of my summer scrolling through photos and fighting with software as I try to put a decent book trailer together. Days when the sun is shining, the canoe is beckoning, and my favourite chaise long has an open book lying facedown on it and a wine spritzer beside it. And then... In the midst of what should be languid, lazy summer, I have to start planning book launches and fall signings. Bookstores and venues have to be contacted, dates set, and itineraries figured out. All this when I am actually trying to research and write the next book. Which is something I can do from my chaise long with a wine spritzer by my side. I don't mean to sound churlish, but it does sometimes feel as if I am constantly chasing the caboose. Most of these activities are enjoyable in themselves, but en masse, they could become overwhelming if I let them. So I suspect Goodreads and Instagram will get short shrift, and the book trailer might not even happen. But I will get out in my canoe, and I will read that book lying on my chaise long. I know what you mean. I'm feeling rather overwhelmed right now. Just sent in ARC proofs for the next book which is out Oct 9th. Trying to figure out ads, etc. Too many things going through my head. I started the next book, but barely. And we need time for a life, right? ... and who really notices when you take a break from social media – even for months. 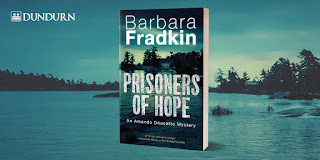 I am anxiously awaiting the arrival of the next book, bearing down on my own current tale, collecting together a pile of books to trundle off to the hospital for an avid who took a bone crunching tumble.